One of the major reasons why educators decide to earn a graduate degree is because of the Master’s Degree in Teaching salary and how much higher it is than salaries reported for Bachelor’s degree holders. If you have been going back and forth and trying to decide if you want to commit your time and money to earning an MAT advanced degree, you need to take a look at not just how much you can earn with your degree, but what else you can do once you join other Master’s degree holders in the education arena. Read on, and find out how much you can earn and how much it might cost to earn your degree so that you can weigh all of the costs. 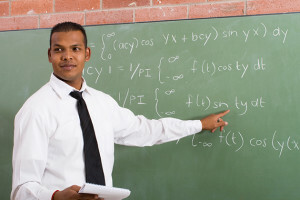 What is a Master’s in Teaching? There are a few different advanced graduate and post-graduate degrees majoring in education that you can choose from. A Master’s in Teaching, also known as the MAT, is a terminal arts degree that helps you advance your teaching degree by giving you hands-on experience that you need. The curriculum includes topics on methodology, pedagogical theory, and the application of these topics. Related: What Jobs Are Available with a Master of Arts in Teaching? Students will also choose courses that are advanced in nature and that teach the educator how to instruct in a specific subject area that they are passionate about. The specialized curriculum makes the student an expert in teaching a specific type of coursework. This is why many MAT degree holders are eligible to teach at junior colleges. How Much Can You Earn With an MAT Degree? If it sounds like you could put an MAT degree to good use, you might be interested in learning more about how much you can earn once you earn your advanced 2-year degree. It is hard to pinpoint how much you will earn because salaries are based on the setting that you work in, the subject you teach, tax revenue in the area, the local union, and the cost of living in the region in which you work. While the salaries vary significantly based on experience, area, and setting, the national average salary for teachers with a Master’s degree and 5 years of experience is $46,500 per year. This is almost $7000 higher per year than a Bachelor’s degree holder in the same role. It is possible to earn as much as $64,883 as an educator who has their MAT. How Much Does it Cost to Earn an MAT? Now that you know your earning potential, the next step is researching how much it costs to earn your degree. The cost of a Master’s can range between $30,000 and above $120,000 if you attend an exclusive private school. Since cost of attendance is high, it is important that you know you can recoup the cost in the form of a higher salary. You must consider how much longer you have left working, if you can enjoy a promotion and if you will qualify for student loan forgiveness for teachers working in your region. With your MAT, you can qualify for positions in competitive areas and enjoy job stability. Place a value on these benefits and then look at your earning potential. If the Master’s Degree in Teaching salary is right and the numbers add up, it only makes sense to go back to school.